We are a professional flooring removal company that services all Palm Beach, Broward and Miami-Dade County. Looking for professional floor removal services in Boca Raton? Let us help get the job done quickly and efficiently with our dust-free methods. It pays to do the work right the first time to prevent any further pushback on projects. 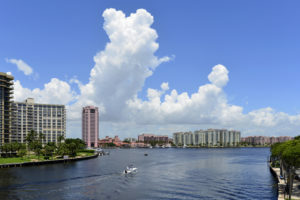 From East Boca to West Boca, our service areas are not limited. Why Choose Dustbusters’ Professional Flooring Removal in Boca Raton? Dust-free Floor Removal: Our process will blow you away. Not only do we get the job done fast, but we leave no trace of any flooring removal dust or debris. That’s because our dust-free system allows for the removal of dust from the air. This makes cleaning up a breeze and a clean surface for your flooring installation. Fast and Easy: We use our efforts and technique to quickly remove any type of flooring. Our experts are trained to provide fast quality professional flooring removal services so that both homeowners and business owners stay on top of their project deadline. We pride ourselves on staying on track with scheduling so that your flooring project can be completed when you want. Disposal Services: Don’t worry about the cleanup! Dustbusters Floor Removal’s service package includes demolition clean up. After the job is complete, we bring in our own industry-standard dumpster to clear up what’s left. We understand the stress of getting rid of floor removal debris, and that’s why we’d rather take it off our client’s hands. Let us do the dirty work, we can handle all of it! Qualified Team of Experts: We have the best of the best in floor removal on our team. 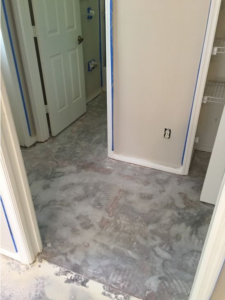 After years of experience in floor removal services, we’ve developed a fast and easy process that allows us to work quickly from start to finish. We trust our team to provide the highest quality work possible for our clients. Re-Consider Do-It-Yourself Floor Removal: Hire a Professional Flooring Company! It can be a dangerous task to try to remove flooring on your own. If you aren’t experienced in handling demolition or the appropriate equipment, it might be best to leave this to the professionals. Removing flooring could possibly get you in contact with mold, obtaining injury with misuse of tools, or worse. It’s possible, without the proper equipment, to obtain lung or other bodily damage from breathing in dust. Plus, demolition can also take a strain on the body, hurting the knees and causing the back to be sore. The worst part of doing it yourself is that it could take days when experienced professionals can remove flooring within a few hours. We urge you to contact us before you make any decision on taking on this role yourself. Our floor removal services extend to no limitations when it comes to flooring. We can demo just about any type of flooring. From wood, tile, vinyl and more. Our Floor Removal Prices in Boca Raton vary on many factors of the services that are needed. If you are interested in getting a quote for floor removal services in Boca Raton, contact someone from our team at 866-883-8783. Whatever the case, you can trust us to handle any floor removal demolition job for your next project.